Modern Horizons is set to crack the Modern format right open, with brand new cards that are skipping standard and going straight to Modern, as well as new Modern legal reprints of former Legacy cards. Will Baleful Strix, Darkest Hour and Earthbind finally make it into Modern? 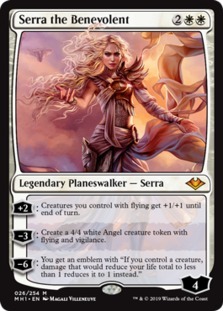 Will we finally get that long awaited Storm Crow Planeswalker? Find out with Modern Horizons. FREE SHIPPING ON almost ANY ORDER OVER $100 (with some supplies and bulky items exempted).